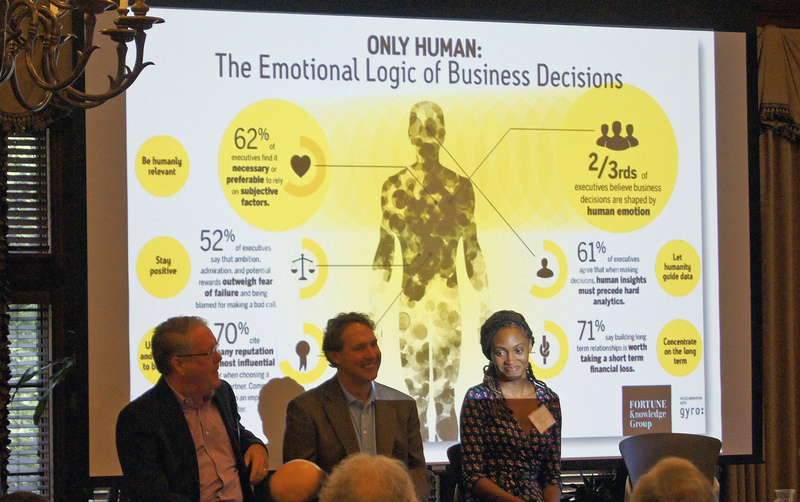 A panel of Atlanta-based entrepreneurship and investment experts discussed “the human factor” in growing a business during a breakfast presentation September 14. The panel was comprised of Larry Steele, technology entrepreneur and investor; Cres Ferrell, vice president of BIP Capital, entrepreneur and investor; and Jewel Burks, angel investor and founder of Partpic, a technology startup that sold to Amazon. Panelists discussed topics related to the human element of a business, including diversity, building community, the perfect pitch, finding talent and how decision-making works in a team setting. They also addressed questions from the audience that expanded on these themes. 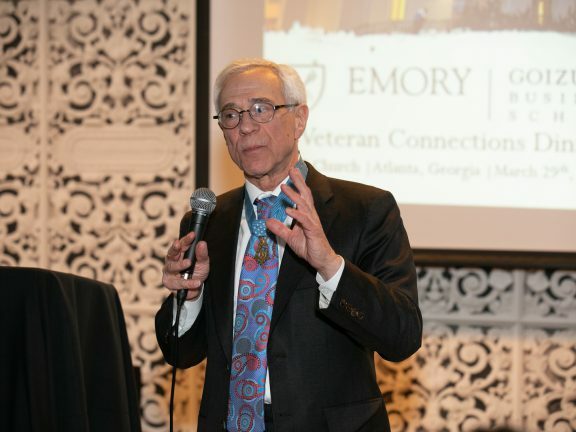 The event was put together by Amelia Pane Schaffner, director of entrepreneurship at Goizueta; RAISE forum founder Barry Etra and Steve Brett, executive coach and founder of Presentation TuneUps, who also moderated the panel. The panel was sponsored by Debbie Shapiro of Henderson Shapiro Peck and served as an open-door event ahead of the RAISE forum, which will take place on November 9th at Goizueta Business School. Applications for the RAISE forum are now open to both investors and entrepreneurs. Burks said, as a black woman, she faced skepticism and discrimination while fund raising and meeting with customers. But that wasn’t what mattered. Steele said he is not looking for the next Facebook. “I’m not looking for the ‘change the world’ application. I’m looking for a niche market business application,” he said. Steele said the personality of the entrepreneur was also important: Someone everyone gravitates to who also knows their own business well. “Can they explain the idea in 30 seconds,” he asks. According to Ferrell, entrepreneurs should ask themselves what problem they are trying to solve. “Is it truly a problem out there, or is it a solution searching for a problem,” he said. Burks recalls a time when investors didn’t want to spend time or money in Atlanta. Charlie Goetz is a serial entrepreneur and lecturer in Entrepreneurship at Goizueta. “If you thought building a successful new venture was all about understanding your market, developing the perfect product, and winning sales, you don’t know the whole story. 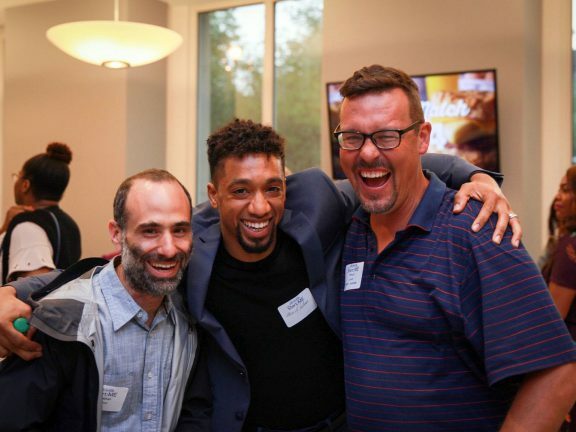 Today at the RAISE forum breakfast, we heard from three great successful Atlanta entrepreneurs and learned how the human factor is just as important a factor in an early stage company’s survival and success,” he said.